If you own or occupy a commercial / industrial or other large building the chances are you’ve noticed that other similar buildings around are increasingly sprouting solar panels on their available roof areas. You may even have investigated whether they may be a good idea for you, or been approached by a sales person trying to interest you in buying them for your building? So, are solar panels a good idea on large buildings? The short answer is usually “Yes”, although as ever with renewable technologies, and particularly solar, it’s a case of location, location, location. It is also significantly more complex to install solar PV into larger buildings than it is onto a house and the bigger the system the more complex it will be. The UK as a whole is perfectly suitable for installing solar technologies, and although you would of course get more from solar if you lived in southern Spain, we still get easily enough sun here to make it worthwhile, even if you’re far in the north of Scotland. Of course things will stack up better if you’re in Cornwall, but wherever you are there is a good chance that Solar PV will be a good investment just in terms of the sunshine you get where you are. I’ll not dwell too much on this though. Solar PV is now a well established technology in the UK with well over 4GW of installed capacity. Of much more relevance will be the local environment around your building and the characteristics of the building itself. There are a number of factors that will make a building either ideal for solar, less than ideal or not really worth the effort and it all comes down to a cost / benefit analysis at the end of the day. One way or another it would always be possible to install solar panels on any old building, and as long as they’re outside and pointing roughly towards the sky they’ll generate some electricity. The goal in deciding whether or not Solar PV is a good fit for your building is finding out whether or not the cost of installing them will be significantly outweighed by the energy they generate and the income and savings that come with that. There is also the consideration that you are turning your building into a small power station and there are a number of additional complications and regulations that you may not have come across even if you’re familiar with Solar PV systems on houses. I’ll go into a bit more detail in a moment, but before you read any further the financially minded among you may well be wondering what the prospects are on a typical building in the UK if you’re treating Solar PV as an investment. Solar PV will always be a long term prospect with a design lifetime of 20 to 25 years, but project payback periods will likely be somewhere between 7 and 10 years, with a 20 year IRR of something like 8%-16% under current FiT tariff rates. Not too shabby compared to commercially available investments, although possibly not as favourable as other ways of investing directly in your business. However, Solar PV will count towards your carbon reduction targets, insulate you against electricity price increases and provide a Government backed, index linked income for 20 years. OK, so enough waffle I suppose. What specific considerations need to be looked at when assessing a building for it’s suitability for a solar PV system. Let’s start by looking at only the building itself and then think about the financial implications of what we find later. The main thing to always consider with a solar PV system is how much sunlight will it get? Although modern solar panels will generate a useful amount of energy even on cloudy days, they still generate a lot more when they’re in direct sun so we want to choose a site that will maximise that. Throughout most of the UK you’d want the module to be pointing as close to directly South as possible. You’ll also want to put them somewhere where they are not subject to shading cast by close by building, trees, large hills or other things like that as they will all limit the amount of direct sunlight the panels will get. There are some very sophisticated methods for assessing how much sun your modules would get and the impact of any shading that might be unavoidable, and it doesn’t necessarily write off the prospect just because you have some shading or don’t have a roof facing directly South, but in ideal circumstances you’d have a South facing roof with a Pitch of around 35 degrees and no shading. If you’re reasonably confident that your roof will get enough sun to make a PV system worthwhile then the next thing to consider is that someone will actually have to get up on to the roof and install the panels. To do that they’ll have to be able to safely work on the roof, and to be able to lift all of the material up there in the first place. 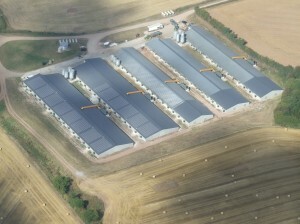 In almost all cases that means that there will have to be scaffold erected up to roof level. The result of that is that the higher your building is the more expensive the scaffolding is going to be and that makes the PV system itself more expensive, and in some cases impractical to install at all. If the roof you’re looking at backs on to train lines or a canal for example it will be close to impossible to put scaffolding up. In an ideal case then you’re looking for a relatively low roof so that access is not an issue. Next on the list of things to look for will be the construction type of your roof. The PV modules will need to be fixed to the roof in some manner to stop them blowing away the next time it gets windy, plus the roof needs to be strong enough to take the additional weight of the PV panels and the people working on the roof to fit them. For most roof types this isn’t too much of a problem but if the roof is fragile, or is an old asbestos fibre roof for example, then it’s unlikely that you’ll be able to fit PV panels without replacing the roof which is usually prohibitively expensive, unless you were planning on replacing the roof anyway of course? For common roof types there are a wide range of fixing systems for PV panels that can be used to attached the PV panels without damaging the roof or compromising their weather tightness, although if your roof still hold a warranty from the original installer it’s worth being very careful which of these systems is used as it’s possible the warranty will be invalidated. Those first considerations cover the solar PV panels themselves on the outside of the building, but solar PV system is an electrical technology and the aim of having it installed is to harvest free electricity. That means that you’ll have to plug the whole system into the electrical system of your building and find somewhere to house the electrical equipment that comes with them. The main electrical component of the PV system apart from the panel is called an Inverter. An inverter is an electrical device that converts the DC electricity generated by the panels to AC electricity as fed into our building by the National Grid. Depending on the size of your PV system you’ll need at least one and often several Inverters which must be housed somewhere. Ideally they would be situated indoors close to where the electricity meter and distribution equipment of the building is, although they can go outside or in something like GRP housings outside the building. 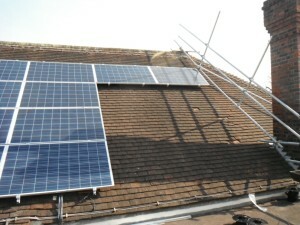 They can even go on the roof with the panels although that can cause problems with maintenance later on down the line. Inverters are the element of a PV system which needs the most attention and although they will usually function well for long periods of time with little or no maintenance, if one does become faulty you’ll be losing out on precious generation and the money that comes with it so they should be in a position where they can be checked regularly or connected to a remote monitoring system that will alert you if they break down. 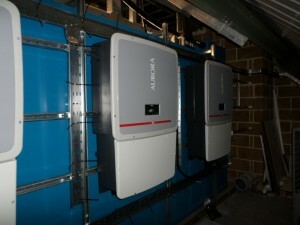 For the PV system to function it will need to be connected to the national Grid though your main connection point which also means that there will need to be wires run from the roof, down to wherever the inverters are housed and then from there to a final connection point in the existing electrical system of the building, usually in the main distribution board of the building. There is usually a relatively undisruptive way of achieving this but it is possible that a short building shutdown will be needed to safely connect the PV system so you should take this into account when planning how the system will be installed particularly if the building is very sensitive (Hospitals and data centres for example need particular care for obvious reasons). For all of these questions you should be able to talk to a competent installer to get the answers you need, or there are various consultancy practices around that can guide you through the early stages of deciding whether it’s likely to be worth getting a PV system for your building. It’s usually worth getting expert advice early on if possible as there can be a lot of complications that arise before the system that can be installed and its worth trying to tackle them early on before any serious expense is incurred. • Your local DNO (Deregulated Network Operator) – these people own and operate the electricity network out in the street and at the sub-station and must give approval before any new generator can be connected to the National Grid, including PV. It is potentially a criminal offence to plug in a generator without their permission. This can be gained through what is called a G59 application which can take up to 13 weeks to be processed. • The local Planning Authority – permitted development regulations in the UK mean that subject to a few fairly basic conditions, solar PV system do not usually need planning permission to be installed anymore, however if your building is in or close to a conservation area, or is listed or one of a variety of other reasons it may need planning permission granting to be able to install the PV system. 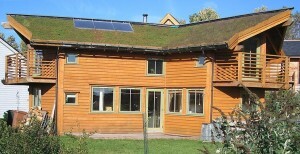 • Your building needs an EPC (Energy Performance Certificate) – because of the way Feed in Tariffs are structured now, if your building has an EPC rating of E or worse you will only get a very low rate paid for the electricity you generate and you should undertake other energy saving measures before you consider PV. Although the solar PV system can count towards the EPC rating that you need it is still strongly recommended that one is carried out well in advance of the PV installation or else you may find yourself with a significantly worse investment that you’d intended. • A structural survey – Solar PV systems are not usually particularly heavy, but they do still add a reasonable amount of weight to the roof of your building and depending on how well your roof was designed and how much weight has been added to it since then the addition PV system could lead to structural damage if not properly checked, particularly as PV panels will cause some wind uplift on the roof structure that may not have been accounted for in the original structure. It is fairly unlikely that the structure of your roof won’t be able to take the additional weight, but the consequences of installing all of that weight on to a roof that it turns out couldn’t take it could be catastrophic so we’d advise that the additional expense is always worth it. The additional of PV system usually wouldn’t require pre-approval from Building Control (Except in Scotland where it usually does) but a building control officer may still ask to see your structural assessment at a later date so it’s worth having one for that reason as well. • Asbestos surveys – although the installation of a solar PV system is not all that disruptive, it is still usually necessary to drill holes for cable penetrations and to mount electrical equipment. It is the responsibility of the building owner to ensure that any contractors working in is are safe from Asbestos hazards and although any responsible contractor should make sure on their own behalf, you could still be liable for Asbestos exposure to people working in the building. Consulting an asbestos specialist earl on should mitigate that risk and provide everyone involved with the information needed to carry out a safe installation. • MCS (Microgeneration Certification Scheme) certification – for most PV systems (anything below 50kWp) your installer must be MCS accredited in order for you to be eligible to claim the Feed in Tariff. If they’re not, then you will lose out on most of the income that you would have gained from the PV system. • CDM (Construction Design and Management) compliance – all construction activity falls under CDM Health and Safety regulations, but larger PV systems may de CDM declarable and require the engagement of a CDM coordinator, again this is the responsibility of the client (usually the building owner) and must be considered early on in the project. 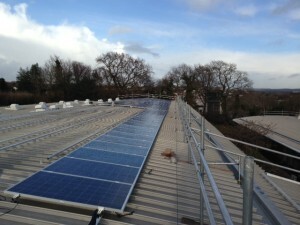 Essentially the installation of a solar PV system on to any building is a small construction project and sometime not so small a project depending on the size of the building, and they should be carried out with all of the care and attention that you would apply to any new building project. You will also be the owner and operator of a power station for 20 to 25 years which if not built and maintained properly could become a very poor investment. However is built and maintained well, a solar PV system in the right place of the right size will significantly reduce your energy bills and provide a very stable income stream for all of that time. As with pretty much all construction projects, the more complex a system you’re trying to achieve the more expensive it is likely to be and as you have probably gathered from everything I’ve talked about here there can be a lot of hoops to jump through and a lot of ways to waste money when commissioning a large solar PV system. We would always advise that you consult an expert as early on in the process as you can to be sure that you’re doing everything properly and legally right from the start. If you talk to an experienced installer they will be able to help you, possibly for free in exchange for then having a good chance of installing the system in the end. If your procurement rules make this problematic then there are consultants around that have good PV experience and will be able to help you, although they will likely require a fee up front for the work. It’s also worth being careful which installer or consultant you and ensuring that they have the necessary experience to be able to help with your project and goals. Ask to see a portfolio of PV projects if you’re in any doubt as a lot of general construction companies or consultants may not have the experience needed. A fair number of schools across the country have now had solar PV systems installed on to them, but there are a huge number of educational buildings around that could still benefit from having solar PV systems installed onto them. If you’re on a schools board of governors, part of its management team, part of an LEA or just a proactive parent you may have considered proposing that your school get some on site renewables. So, would solar PV be a good fit for school buildings? Solar systems always have to be assessed specifically for the site in question, and every school is different, but I’ll go through a few of the common advantages and potential problems here to address the most universal questions. The general benefits of solar PV systems, such as free electricity and feed in tariff income, are covered in much more details elsewhere on the site, so I’ll concentrate on the issues that are purely specific to school buildings. Schools can use a huge amount of electricity as they’re such high occupancy and the tend to use the bulk of their energy during the middle of the day when the children are in attendance. This energy use profile suits solar very well as the financial benefits of solar PV system work best if all or most of the energy generated is used on site rather than being exported back to the National Grid and then being bought back later when you actually need it. 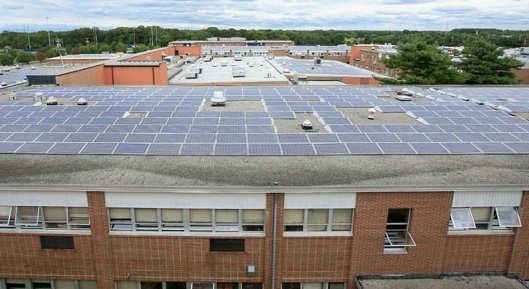 School buildings are very frequently a good fit for solar PV systems. More often than not they have a large, relatively clear, roof area and are often relatively low buildings giving savings on scaffolding costs. Unlike small wind power Solar PV is very quiet so doesn’t disturb the school day, and unlike something like a CHP plant or a biomass boiler it doesn’t need fuels to keep running, just a sunny spot to sit in and generate power. 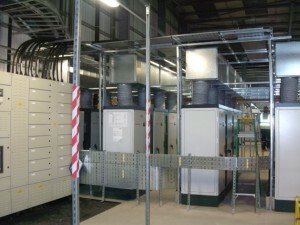 Because schools usually have high electricity consumption, they also often have large electricity infrastructure meaning that it’s easier than it might be to get permission to connect your new generator to the National Grid, which can be a problem for other larger buildings such as warehouses. The installation of solar PV systems is relatively non-disruptive compared to some generators as the bulk of the work is done on top of the roof. It’s perfectly possible to have a solar PV system installed during term time without disrupting the school schedule. The installation of solar panels in schools can be a fantastic learning experience for pupils as well, especially applicable where students are learning about relevant sciences at the time. We’d always be happy to do a presentation (tailored to age and ability) for the students to explain what we’re doing, how it works and explaining about its benefits both for the school and for the planet. As with any addition to a building there are always potential problems that must be considered. This section may seem very long at a glance, but the problems described here are mostly easily overcome, they just tend to take some explaining. The age of roofing material is often a problem on school buildings. Flat roofs are a particular issue as they often only have a design life of around 15 years. A solar PV system should be in place for 20 years or more and it can be very costly to have the solar PV system removed whilst the roof is replaced and be put back again afterwards. If your roof is felt, and particularly older felt it is definitely worth getting the roof re-covered before the installation of the solar PV system. One sensible way of doing this is to consider the solar system around the same time as you are scheduled a roof replacement anyway. A lot of schools are part of program’s of roof insulation and replacement as part of general energy efficiency improvement savings. Saving can even be made here as scaffolding costs can be shared for the different projects. For pitched roofs the lifetime of the roof is likely to be much longer, but it’s worth considering the quality of the roof you already have. If there is no sarking felt in place the wether tightness of your roof will never be quite as good after the addition of a solar PV system however good your installer is. Provided there is a reasonably good condition roof covering however, there are numerous mounting systems on the market and it should be possible to have solar PV installed on your school without doing any damage at all. The cost of solar PV systems can often be a problem for school, particularly in these times of austerity. The budget for a school to buy a solar system could come from the local council, from the schools own energy efficiency budget, from community funding or from a donation. However, if the chill cannot raise the money itself, that is not necessarily the end of the road. 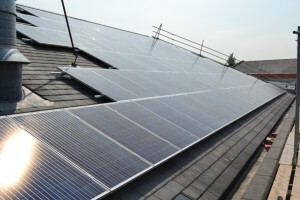 Because there is an independent income generated by solar PV systems through the feed in tariff scheme there are a number of private investors and investment schemes that provide the capital cost of buying and installing the solar PV system in exchange for them receiving the feed in tariff payment. So if they cannot afford the solar panels themselves, free solar panels for schools are still available. The investor will also usually sign the school up to a contract to purchase the power generated by the solar PV system (callers a power purchase agreement, or PPA) it’s clear from this that the direct financial benefits from the solar PV system will be much lower this way than if the school bought it themselves. And it doesn’t necessarily simplify the procurement process much, if at all. However you still get the energy savings and the educational benefits and you can get a free solar PV system for your school when you might not otherwise. If you you cannot afford the price of solar panel installation for your school we can help you find the right funding so that you can acquire them for free. If you’re not sure which option is best, we can survey your school and go into it in some depth with you so that you can make an informed decision for yourself about how to finance such a project. Don’t hesitate to get in touch if you have any questions. One way to benefit from this surplus electricity is to have an export meter installed. For PV under 30kWp you can get a payment of 4.77p per kWh for 50% of the energy you generate without metering it. but for systems bigger than 30kWp you either need to have an export meter with half hourly data transmission installed or lose all of that power. There is a cost to getting this done, and you have to be sure that you’ll be getting enough benefit from it to justify the cost. Your installer should be a able to advise you, but there are installers and there are installers so I’d always ask the question of them and get them to justify whether or not it’s worth it. However, they will not be able to arrange the export metering for you. You’ll have to do that with your energy supplier yourself. One occasional problem with anything installed onto a school is vandalism. This obviously depends on the location and the school (and is not limited to schools for sure, although the risk seems to be higher than normal). I’ve seen it happen a few times and smashed PV panels can be costly. 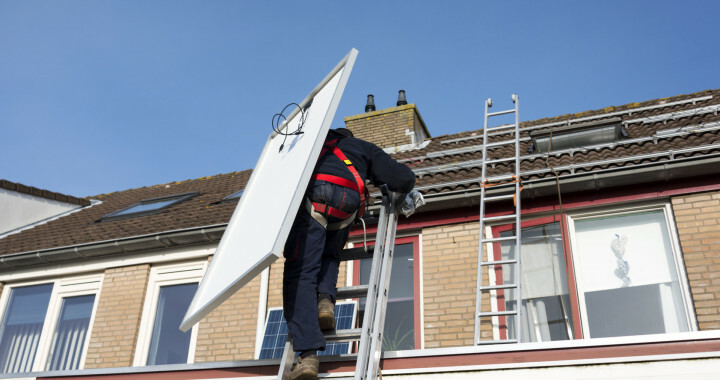 It’s worth talking to your insurance provider before committing to the install as it’s possible your premiums could go up, or they may not wan to insure the PV system without extra security. This isn’t likely, but it’s worth checking. I’ve been involved with installing solar PV on to dozens of schools around the country, and in my experience by far the biggest headache is the procurement process involved in getting it in the first place. But that’s true of most things that need public funding and is not insurmountable. In general solar PV is a very good fit for school buildings and all of the potential problems described here are fairly straightforwardly overcome if they come up at all. The benefits far outweigh any drawbacks in most cases. If you have any questions that aren’t covered here then feel free to get in touch and we’ll help however we can. There are few organisations that have larger portfolios of buildings than a Hospital. With the increasing pressure on Governmental organisations to reduce their energy use and carbon emissions there is a great opportunity to use Hospital buildings to generate some of the large quantities of energy that they use at the same location that it is needed. Of the renewable energy technologies that are possible to retrofit to an existing building, but far the most popular over the last few years is Solar PV. So, would solar PV be a good fit for a Hospital building? Solar systems always have to be assessed specifically for the site in question, and every building across a Hospital site, as well as every individual Hospital is different, but I’ll go through a few of the common advantages and potential problems here to address the most universal questions. The general benefits of solar PV systems, such as free electricity and feed in tariff income, are covered in much more details elsewhere on the site, so I’ll concentrate on the issues that are purely specific to hospital buildings. Hospitals use a vast amount of electricity, primarily because they have so many people working and staying in them at any one time, many of whom are obviously reliant on specific electrical equipment for their health care. Hospitals typically use far more electricity that it’s ever likely to be practical to generate on site. That may make it sound like the addition of a solar PV system to a Hospital site would be a drop in the ocean, and to one way of thinking about it that’s true even for the largest of solar systems, however, if considered on its own merits a solar PV system is most advantageous when all of the energy that it generates is used in the same building or site. For Hospitals this is almost certain to be the case. They usually have their own Substation (or often more than one substation to provide a secure electricity supply) and the electricity metering will be done by the electricity supplier at the substation. That means that even if the building that the solar PV is installed on doesn’t use all of the energy generated, other buildings on the site can use it. This gives you the additional benefit that instead of having to put the solar PV system on the building where you use the most energy for it to be worthwhile, you can situate it on the building or buildings that have the most suitable roof spaces for solar optimising the possible yield. Solar PV has several benefits over other potential on-site renewable technologies, for example, compared to small/medium wind power systems, PV is very quiet and doesn’t produce and vibration that staff and patients may find annoying or disturbing. Compared to micr CHP or biomass boilers solar PV doesn’t involve any deliveries to the site on a regular basis, and involves the handling of waste materials during it’s operational lifetime. The installation of solar PV systems is pretty non-disruptive compared to other generators as most of the work is done on the roof and there are no large parts to move around. It’s perfectly possible, with care, to have a solar PV system installed without disrupting the operation of the hospital in anything other than very minor ways. Because Hospitals are such sensitive buildings, there are clearly going to be concerns around any addition to the buildings, and electrical additions need to be treated with particular care because there are a great many electrical devices used in Hospital that help keep people alive and there is a small possibility that new additions to the electrical infrastructure could interfere with that sensitive equipment. This section may seem long at a glance when compared to the Advantages section, but the problems described here are mostly easily overcome, they just tend to take some care in our approaches to them. There are various electrical concerns that need to be addressed when fitting solar PV systems onto Hospital buildings, and there are likely to be concerns particular to that building that aren’t mentioned here. This just means that it’s worth being very careful who the contractor you chose for the installation is, as they will need to be experienced enough to cope with the somewhat unusual electrical environment of a hospital. Ideally, they would have experience of installing on Hospitals before. It is certain that they will need to work closely with someone who knows the Hospital electrical systems well already, be it the M&E contractor who maintains them, or a specialist employed by the Hospital. In an electrical context, discrimination means that the systems installed to protect the electrical systems from overload and fire, and to protect people from electrical shock are designed and installed in such a way that the protection operated from the smallest system up to the largest. On practice, this means that if you have a fault occurring in one electrical circuit, it could not trip the protection systems in a larger circuit that it’s connected to, thus disrupting electrical supply to equipment that have nothing to to with where the fault is. 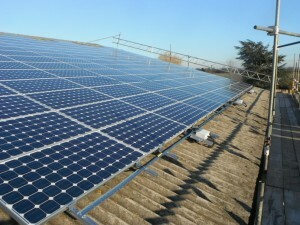 This is relevant to the installation of solar PV system anywhere, and is part of the general electrical regulations for any new electrical system, however because the potential consequences of connecting a poorly designed solar PV system to a hospital could be very serious particular care should be taken over discrimination at the connection point, particularly if being connected to older electrical infrastructure where there may be pre-existing weaknesses in the protection systems. Harmonic interference. This is quite a technical subject, but the simple explain action is that all electronic devices in AC electrical systems produce currents that oscillate at a frequency other then that standard 50Hz. Because protection systems and other aspects of electrical systems are usually designed to cope with 50Hz currents, it is possible under some circumstances for electrical current to flow in ways that are undesirable and to end up where there are not wanted. There are strict regulations (G5/4, a subsection of the D code) around the design and installation of electrical appliances that cover this, and the inverters used in solar PV systems are no exception to this rule, however as there can be a great variety of electrical equipment of differing ages and sensitivities present in hospital buildings it is possible for Harmonic effects from different devices to effect each other unexpectedly. There are couple of different ways of tackling problems of this type (which are not all that likely to be fair). One is just to install the solar PV system onto electrical circuits that are a long way (electrically speaking) from any sensitive devices. Another is that Harmonic surveys can be undertaken in advance of commissioning the solar PV system to determine if there will be any detrimental Harmonic currents generated by the solar PV system. As it so important that the electricity supply to a Hospital is to not be disrupted they will always have both back up generators and UPS (uninterruptible power supply) systems in place. These are complimentary back up power systems that will ensure that the power to either a whole site, building or circuit cannot be switched off if there is alter cut. This can be a problem for solar PV system because the regulations governing the connection of all types of generators that are to be operated at the same time as mains electricity (including solar PV) state that if the Grid is cut off then the generator must switch off until power is restored. Usually the PV system will detect that there is no mains electricity connected and will switch off on its own, but if it is connected to a circuit that is protected by a back-up generator or UPS it may not be able to tell that there is a power cut without some additional control circuitry. In principal this shouldn’t be a big problem because there are relatively easy ways of connecting the solar PV system to the control circuitry that already exists for the back-up generator to tell the PV system to switch off when the generator is running. However, if the control systems for the generators are not close to the PV system, it can be complicated and expensive to run the control cable to the correct place. It’s just worth remembering that in buildings with back-up generators there may be additional costs associated with this problem. There are other non-electrical barriers to the installation of solar PV systems that need to be considered as well, for example, the age of roofing material is often a problem on hospital buildings. Flat roofs are a particular issue as they often only have a design life of around 15 years. A solar PV system should be in place for 20 years or more and it can be very costly to have the solar PV system removed whilst the roof is replaced and be put back again afterwards. If your roof is felt, and particularly older felt it is definitely worth getting the roof re-covered before the installation of the solar PV system. One sensible way of doing this is to consider the solar system around the same time as you are scheduled a roof replacement anyway. A lot of public buildings, including hospitals, are part of program of roof insulation and replacement as part of general energy efficiency improvement savings. Saving can even be made here as scaffolding costs can be shared for the different projects. For pitched tiled or slate roofs the lifetime of the roof is likely to be much longer, but it’s worth considering the quality of the roof you already have. If there is no sarking felt in place the weather tightness of your roof will never be quite as good after the addition of a solar PV system however good your installer is. 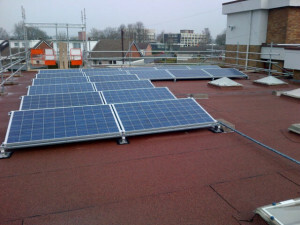 The cost of solar PV systems can often be a problem for public institutions, particularly in these times of austerity. However, if the hospital cannot raise the money itself, that is not necessarily a big problem. 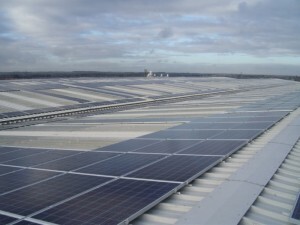 Because there is an independent income generated by solar PV systems through the feed in tariff scheme there are a number of private investors and investment schemes that provide the capital cost of buying and installing the solar PV system in exchange for them receiving the feed in tariff payment. They will also usually sign the Hospital up to a power purchase contract for the power generated by the solar PV system (called a power purchase agreement, or PPA) the direct financial benefits from the solar PV system will be lower this way than if the hospital bought it themselves. And it doesn’t necessarily simplify the procurement process. However you still get the energy savings which are such a large part of the benefits to a Hospital and you can get a solar PV system when you might not otherwise have been able to. As such heavy electricity users the financial paybacks and carbon savings from solar PV systems can be very favourable. However, because of the particular nature and activities of hospital buildings they necessitate additional care when installing new electrical generators so as to avoid any potentially very serious problems. However, there really should be no insurmountable difficulties around the safe installation of solar PV in a hospital for an experienced designer and installer. It is recommended, however, that very close cooperation between the electrical staff of the hospital and the installer is maintained from as early on in the project as possible. It is also worth carrying out a reasonably extensive feasibility study before an installer is engaged to make sure that there are no real problems that can’t be economically overcome.